Sometime in 1974, a little-known artist attended a dinner party. Sometime that evening, she entertained an idea, one that would offend legions of men yet inspire women around the world. But first, dinner. 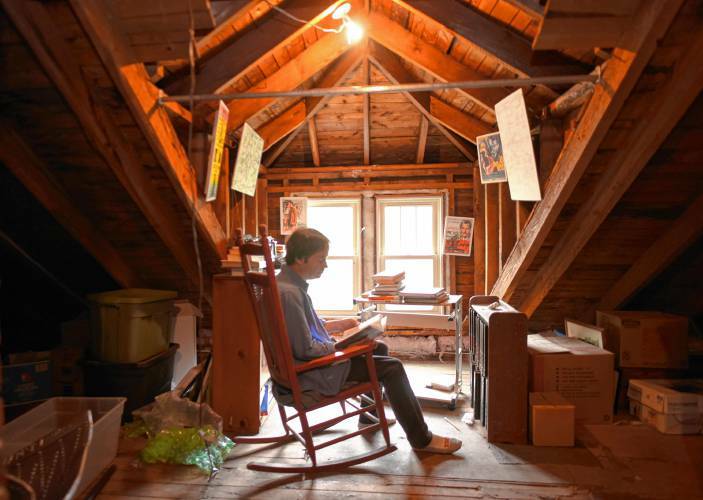 Born Judith Cohen, she changed her name — first for marriage, then for art. In 1968, swept up in the Women's Movement, she turned her birthplace into her identity. 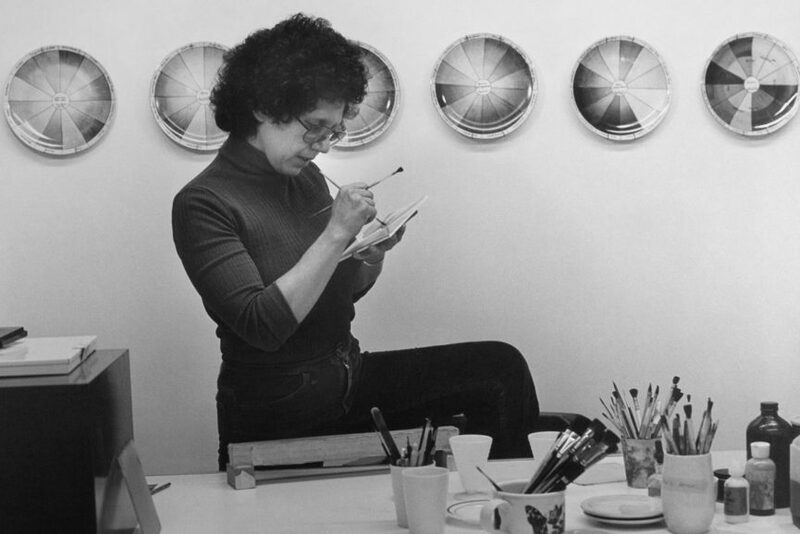 As Judy Chicago, she became known for overtly “feminist art.” She felt no need to apologize. Chicago had trained all her life for this project. From the age of five, deciding she “never wanted to do anything but make art,” she had been drawing, painting, absorbing images. After graduating from UCLA, she studied the “macho arts” of fiberglass and auto body work. She was soon doing ceramics and painting, flirting with the floral/genital motifs of Georgia O’Keefe but still trying to be “one of the boys.” She made a living, barely, by teaching, but she lived for her time in the studio. 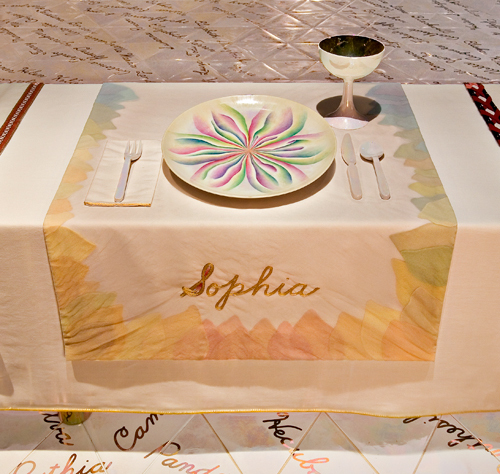 Then throughout the mid-1970s, while America battled over the Equal Rights Amendment and who should do the housework, Judy Chicago set her table. But she did not work alone. While 100 volunteers — including a dozen men — researched women’s history or did design or needlework, Chicago puzzled over the problem facing all hostesses. Who to invite? She soon cut her list to 39 women at a triangular table 40-plus-feet per side. Major figures who didn’t make the cut would fill the Heritage Floor, 999 names in porcelain tiles. “The Dinner Party” grew… and grew. Not all those invited were served symbolic sexual fare. Some plates — Sophia, Greek goddess of Wisdom, the mathematician Hypatia, the abolitionist Sojourner Truth — featured striking floral patterns. But the dominant motif was clear and critics were divided. Nearly 100,000 saw “The Dinner Party” in San Francisco but the festivities almost ended there. A scheduled tour was canceled. Too controversial, too cumbersome. Chicago, dealing with both rejection and divorce, descended into depression. “The male art world didn’t want my art and men didn’t want me.” Then onlookers at the party began to speak up. Over the next decade, while museums remained aloof, women raised money, lobbied smaller venues, and brought “The Dinner Party” to Houston, Cleveland, Chicago, Toronto. . . Its imagery filled books, slide shows, and imaginations. Decades later, the installation has been seen by 15 million people in 16 countries. It is now on permanent display at the Elizabeth Sackler Center for Feminist Art in Brooklyn. And Judy Chicago, still making art at 78, remains unapologetic about her (ahem!) imagery.